It would appear that Trotsky’s theory of combined and uneven development informs not only Anievas and Nisancioglu’s “How the West Came to Rule” but four articles I recently read that are critical of Vivek Chibber’s “Postcolonial Theory and the Specter of Capital”. 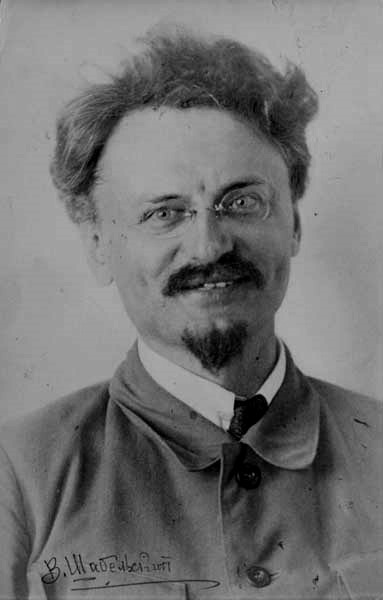 This might lead one to believe that no matter how failed a project the Fourth International was, Trotsky’s ideas remain current especially for scholars grappling with the Eurocentrism of Political Marxism, a tendency that includes Vivek Chibber as one of its most truculent spokesmen. 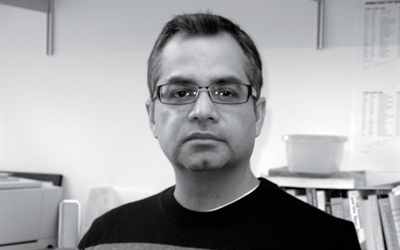 Vivek Chibber stormed on the scene in 2013 with the publication of “Postcolonial Theory and the Specter of Capital”. It created the same kind of stir as Alan Sokal’s Social Text hoax in 1996 that was greeted ecstatically by virtually the entire left, including me. We saw him as our Marxist savior against postmodernist obfuscation. Not two years after the hoax, I discovered that Sokal had never read Richard Lewontin and writing partner Richard Levins, who were included in the very issue that Sokal sought to discredit. It is entirely possible that the bloom has also begun to fade from the Chibber rose. For the Marxist wing of the postcolonial academic discipline, many see him as an interloper who did more damage than good. Indeed, the complaint heard from all four of his critics considered here is that he was not very knowledgeable about his subject. To start with, his polemic was directed against Subaltern Studies that he suggested was the dog wagging the tail of postcolonial theory when in fact postcolonialism appeared on the scene a full decade before Subaltern Studies and actually was responsible for it gaining any kind of traction. Furthermore, there was a reductionist element to his attack on Ranajit Guha, Partha Chatterjee, and Dipesh Chakrabarty that despite slaking his polemical appetite gave short shrift to the complexity of their ideas. So, to demolish the pretensions of the subalternists’ ‘infelicitous terminology’, in Chibber’s words, is at least in part to miss the point. He says he finds the formulations of Chatterjee and Chakrabarty elusive, vague, obscure, and difficult to understand. But this is a little like finding geometry abstract or obituaries brief. The manner is intrinsic to the project. The methods of this kind of cultural theory—and we can by now agree that Subaltern Studies falls within their orbit—are based not on historical accuracy, context or intention, but on the production of political outcomes by way of a textual occasion. Chibber mentions in passing Karl Kautsky, Leon Trotsky, and others who explored the dynamics of agrarian economy and uneven development, but the sense of this broader politico-cultural history is missing, and its vexing relationship to theory and method goes undiagnosed. Savages throw away their bows and arrows for rifles all at once, without travelling the road which lay between those two weapons in the past. The European colonists in America did not begin history all over again from the beginning. The fact that Germany and the United States have now economically outstripped England was made possible by the very backwardness of their capitalist development. The law of combined development of backward countries – in the sense of a peculiar mixture of backward elements with the most modern factors – here rises before us in its most finished form, and offers a key to the fundamental riddle of the Russian revolution. If the agrarian problem, as a heritage from the barbarism of the old Russian history, had been solved by the bourgeoisie, if it could have been solved by them, the Russian proletariat could not possibly have come to power in 1917 [emphasis added]. Julian Murphet as well as the other two authors I will now consider are not familiar to me. He teaches cultural studies in Australia, a discipline that presumably gives him the background to evaluate Chibber. In September 2013, he wrote “No Alternative: On Vivek Chibber,” for the Cambridge Journal of Postcolonial Literary Inquiry, a journal one supposes that Chibber would regard as enemy territory. Speaking probably for those who identify with such a journal, Murphet described the impact of Chibber’s book as entering “this fractured terrain with all the diplomacy of a stinging backhand across the face.” Well, that’s probably the way that Verso intended it. [I]t could be argued that Chibber’s book is one long, distemperate construction of an imago of Subaltern Studies that flattens it into a caricature, a negative imprint of what this work is offering us. Deaf as Chibber is to what theory and the dialectic have to offer social cognition, those elements of postcolonial theory are either dismissed as so much irrationalism and obfuscation, or simply not registered—a result that renders the opponent as one-dimensional as the Weberian analytic Marxism championed by Chibber. As many readers will be aware, that is to strip the work of Charkabarthy, Chatterjee, and others of precisely their dialectical spark and agility; and so to misread their analyses. Consider one of the most important Marxist concepts to have emerged après Marx: the notion of “uneven and combined development” as this was first sketched by Trotsky and filled in by later theorists such as Ernst Bloch, Walter Benjamin, Fredric Jameson, and Perry Anderson. It is a concept only in fetal state on the pages of Capital, but under this subsequent nurturing, seems best qualified to account for much of what Chibber’s book wants to reprimand the subalternists for ignoring: the economic pressures put on nation states by a world market in which each is inserted differently; the frequent maintenance of distinct, precapitalist modes of production within and alongside advanced industrial production; the distinction between real and formal subsumption within the capitalist economy; and the readiness of capital to accept differential wage rates in different geographical locations. And yet this concept, so useful to the kind of critique Chibber seems to want to make, is only mentioned once, five pages from the end of the book, and gestured at in passing on page 245. The reason is surely that, for all that the concept illuminates precisely the terrain covered in this book, it does not do so in a compatible way. When Bloch writes about various temporalities beating in the heart of the present, or Jameson about the social and cultural dissonances that arise from uneven development, what is most evident is that there is no way of representing this imbrication of modes of production effectively without employing a dialectical style. Only a dialectical presentation can capture the acute existential and epistemological torsion at stake in the palimpsest-like social formation of capitalist India or communist Russia—and a dialectical style is what Chibber’s method is dedicated to invalidating. Sociological and analytic Marxism of this sort is incompatible with the giddy transformations of an idea as it passes back and forth between the specific conjuncture and the universal frame; between the local situation and the global trend; between the particular product and the universal equivalent; between the superstructural detail and the economic ground. Where the style of an Adorno or a Jameson is tailored to these vertiginous shifts up and down the scale of social reality, Chibber’s is myopically trained on the “clear and distinct” idea itself; a Cartesian prejudice of the Enlightenment that sees all deviation from rational method as inherently reactionary. Moving from Australia to Norway, we encounter Alf Gunvald Nilsen who tends to be as generous with Chibber as Tim Brennan. He teaches at the University of Bergen where he lists his pursuits on his web page. all with special reference to India and Asia. Whereas my point of departure is that of agreement with Chibber’s basic claims, the ensuing discussion also carries the imprint of a view that I share with many others – namely, that there is more mileage in postcolonialism than what Chibber allows for, and that consequently, Marxist inquiries in the field of historical sociology are likely to gain from a willingness to reflect on the foundational theoretical assumptions that guide the study of capitalist development in light of some of the critical insights that postcolonialism has yielded. As much as Chibber is correct in arguing that Marxists have devoted much time and energy ‘to understand the peculiar effects of capitalist development in the non-West’, these interrogations have often proceeded from a vantage point in which capitalism is posited as a mode of production that emerges in and emanates from. Moreover, within Marxist historical sociology, there is also a tendency to conceive of colonialism as something that is ‘consequent to capitalism’ rather than ‘constitutive of it’. Ultimately, these historiographical parameters are Eurocentric in the sense that they result in ‘the eradication of the role and effect of the non-West in engendering both conjunctural and epochal transformations, some of which are essentially constitutive of the emergence of the modern capitalist economy and the international state-system’. One of the most significant resources for the construction of a relational ontology for the study of the historical development of capitalism is arguably to be found in Justin Rosenberg’s reconstruction of Trotsky’s theory of uneven and combined development. This reconstruction starts from the claim that there is no sociological definition of the international due to the fact that the classical social theorists failed to systematically incorporate ‘inter-societal coexistence and interaction into their theoretical conception of social causality’. Working towards such a definition in turn entails that we have to abandon ‘at the deepest theoretical level any notion of the constitution of society as analytically prior to its interaction with other societies’. I’m not opposed to the genre of the long rant as such. Some long rants are very much worth reading: Marx and Engels’s The Holy Family, for instance – a text bearing the rather wicked subtitle, Critique of Critical Criticism – is almost as long as Postcolonial Theory and the Specter of Capital. But Vivek Chibber is no Karl Marx or Friedrich Engels. He reminds me, instead, of the protagonist of the ideal-type of the literary genre of the novel, as famously analysed by Lucien Goldmann in Toward a Sociology of the Novel: a hero, torn from community, who goes in search of authentic values in a degraded world. Dogged, unafraid and unamused – our solitary hero ventures forth in his modern epic onto the blasted heath of postcolonialism with an avenger’s zeal, to fight the good fight against Subaltern Studies all by himself, but on behalf of all of us. I rather like that sort of writing. I only wish that more academics could master it. Perhaps Lazarus’s classes include close readings of Evelyn Waugh and George Orwell, who despite their ideological differences were very good at mockery. One can understand Lazarus’s antagonism toward Chibber. For his entire academic career, Lazarus has stood up for a class analysis in a field that is dominated by postmodernists. He openly admits to being resentful about being taken for granted by Chibber who slights him and a number of others like him who have labored in the trenches for a Marxist analysis for the past three decades at least. Of course, given Chibber’s legendary arrogance, that might have been expected. Marx’s identification of unevenness then received notable amplification in Trotsky’s writings of the 1930s, in which he formulated his theory of ‘uneven and combined development’, by way of analysing the effects of the imposition of capitalism on cultures and societies hitherto un- or only sectorally capitalised. In these contexts – properly understood as imperialist – Trotsky observed, the imposed capitalist forces of production and class relations tended not to supplant but to be conjoined forcibly with pre-existing forces and relations. The outcome, he wrote, was a contradictory ‘amalgam of archaic with more contemporary forms’ – an urban proletariat working in technologically advanced industries existing side by side with a rural population engaged in subsistence farming; industrial plants built alongside ‘villages of wood and straw’, and peasants ‘thrown into the factory cauldron snatched directly from the plow’. Really enjoyed your article that Alex Anievas alerted me to, especially on the Combined and Uneven Development angle. You probably know that Anievas and Nisancioglu base their critique of the Brenner thesis on Trotsky’s theory. I come at this as a former member of the American SWP where I learned about the theory in classes with people like George Novack rather than in academia so when I first encountered the Brenner thesis in the mid-90s when Jim Blaut subbed to a listserv I moderated, my reaction was that Brenner was a kind of new-fangled “stagist”. The idea that capitalism sprang up in the mid 1500s like Athena being born from Zeus’s forehead struck me as rather undialectical. I suspect that people in the PM camp, no matter how much Trotsky they have read, tend to see things through Brenner’s stagist perspective. You are absolutely right that Trotsky’s writings (or Marx’s 18th Brumaire for that matter) are key to understanding the co-existence and mutual reinforcement of apparently opposed social forces and that this methodology would be of great benefit to those investigating postcolonial studies, I simply think that Chibber was paying lip-service to Trotsky in those quotes you included in your article. Some of the coverage of the Marxist resurgence has focused on the boomlet in Marxist-leaning journals, mostly based in New York, like n+1, The New Inquiry, and Jacobin (full disclosure: a number of my friends and I have written for those journals). But missing is how secondary those journals really are. Small in circulation, it is their social penumbra that earns them influence—particularly the interaction of their editors, contributors, and readers both online and in the flesh. It is as much the vigorous debates these journals inspire as their content that brings a vitality to Marxist discourse. I am not sure when I took out a sub to N+1 but it has been at least a year ago. I made a personal connection with the magazine after one of its co-editors, a 43-year-old Russian-born novelist named Keith Gessen, invited me to a film showing about the Russian new left that included remarks by Kirill Medvedev, a Russian poet and political commentator who has translated Charles Bukowski. For me that combination puts Medvedev in a class by himself and Gessen right next to him for introducing him to American audiences. But the item that finally motivated me to write this fan letter is from the most recent issue dated Winter 2014. (The magazine is a triannual—three times a year, not every three years!) Written by Columbia University professor Bruce Robbins, “On Subaltern Studies” is the definitive riposte to Vivek Chibber’s new book “Postcolonial Theory and the Specter of Capital”. I wouldn’t read too much into this, but Jacobin gave a fawning interview to Chibber a while back. Although I am by no means an expert on subaltern studies, I do know a thing or two about “Political Marxism”, an academic current inspired by Robert Brenner’s writings on the origins of capitalism. Chibber, a hard-core PM’er, wrote his book as an assault on thinkers associated with subaltern studies whose inability to apply PM to Indian history led them to abandon Marxism even though just about all of them consider themselves Marxists. I defer to Bruce Robbins in this instance since he knows both the subaltern studies terrain as well as the particular wing of academic Marxism that Chibbers adheres to. Trying to undermine Guha’s standard of comparison, Chibber disputes the sociology behind this account of both European revolutions. He argues (here I abbreviate radically) that the English Civil War was not antifeudal (because feudalism in England was already dead) but only a contest within the landed classes over absolute monarchy. And he argues that the French Revolution was not procapitalist (because no actual capitalists were present on the scene). He concedes that some seemingly progressive things happened, but they happened only thanks to uprisings from below. Chibber sees these political accomplishments as grudgingly supported by the supposed revolutionaries and in any case quickly and violently rolled back by the forces of counter-revolution. Coercion has always been a large part of the capitalist order. Consent has not been. Dominance without hegemony is the norm in both India and in Europe. This sounds attractively universal, but it is also wrong, and what is wrong with it gets to the heart of what is wrong with Chibber’s book, and with the state of thinking about universal history. If feudalism in England had already been overthrown by 1640, when and how did that happen? Could something as large as feudalism simply disappear without causing any political commotion, without anyone noticing? Is that how the most momentous social changes tend to occur, without any revolutionary tumult, without any changes from deep within society? If so, then politics would seem to be trivial—and economics, now decoupled from it, would also find its duties as an explanatory agent much reduced. In sacrificing the causal connection between politics and economics, Chibber is selling off Marxism’s most valued asset: the power to make sense of what happens. If capitalism’s rise was not a significant cause of political events in the past, like the French Revolution, then so much the worse for Marxism as a guide to history, whether in the past or in the future. Chibber’s understanding of European history seems to take place in a vacuum; his account of the contemporary world suffers from a similar blind spot. He does not even try to account for the Great Divergence between capitalism in the style of IKEA and capitalism in the style of Rana Plaza. The question of what is specific about capitalism in the East is not posed until page 290 of a 296-page book. As for the West, Chibber’s sole point (not an uninteresting one) is that it is less different from the East than it thinks. The West has its political liberties, he says, but even there “capitalists mobilize all available means to increase their power in the organization of work.” This is true, but those means are not universally available, and their local unavailability is a fact of some importance. The United Automobile Workers are no longer the force in society they once were, and yet they remain strong enough to ensure that flogging does not happen on the shop floor. If, like Chibber, you insinuate that flogging on the shop floor is the universal norm, readers will suspect that you are not inspecting the premises very seriously. If Chibber had been writing these things back in 1996, I would have certainly backed him against Robbins. That was when I was first getting up to speed on academic Marxism and developing a big grudge against anything “postal”, from postmodernism to postcolonialism (Robbins points out correctly that Chibber’s book is mistitled since his real target is subaltern studies rather than postcolonial studies, a field that Edward Said virtually invented.) That was the year of Alan Sokal’s hoax in Social Text, a journal that included articles filled with words like penumbra and that was co-edited by Bruce Robbins and Andrew Ross. People sounding very much like Chibber were declaring war on those trendy academics on the left who rejected “Enlightenment values”, including the universalist view of history that Marxism supposedly embraces. Alan Sokal, who teaches at NYU with Chibber, was supposedly a knight on shining armor who would rescue Marxism from those who were subverting the youth with their mealy-mouthed cultural studies. It was only after having breakfast with Sokal a year or so after his hoax that I discovered that he had never read Gramsci, the main influence on subaltern studies not to speak of having never read Richard Levins and Richard Lewontin, the two most important figures on the left defending the importance of dialectics in science. Their work was featured in the same issue of Social Text that included Sokal’s hoax. I am not exactly sure of the date but a year or so after Sokal’s hoax, Bruce Robbins debated him at NYU. This was around the time that my interest in and commitment to indigenous causes was deepening. I was still suspicious of anything remotely “postal” but felt troubled by Sokal’s dismissal of the rights of native peoples to block scientists from studying the skeletal remains of Kennewick man in the debate. He insisted that this was just another example of “local knowledge” that was an impediment to necessary scientific research. Absent from his considerations was the rights of a native people to resist encroachment on sacred ground. The inhabitant of the temperate parts of the world, above all the central part, has a more beautiful body, works harder, is more jocular, more controlled in his passions, more intelligent than any other race of people in the world. That is why at all points in time these peoples have educated the others and controlled them with weapons. The Romans, Greeks, the ancient Nordic peoples, Genghis Khan, the Turks, Tamurlaine, the Europeans after Columbus’s discoveries, they have all amazed the southern lands with their arts and weapons.